Researchers Predict a Quarter-Million New Cases of Breast Cancer in the U.S. Researchers at the American Cancer Society estimate that there will be 252,710 new cases of invasive breast cancer in women in the United States in 2017. Some 40,610 women will die from the disease. In addition, there will be 63,410 cases this year of carcinoma in situ, abnormal cells that may be an early form of cancer. Over a lifetime, a woman living in the United States has a 12.4 percent risk — one in eight — of being diagnosed with breast cancer. Non-Hispanic whites and non-Hispanic blacks have higher breast cancer incidence and mortality than other racial and ethnic groups. The incidence of cancer in black women was slightly lower than that of whites, but the death rate during 2011 to 2015 was 42 percent higher in black women. Scientists have now identified at least five subtypes of breast cancer. Lower overall rates among Hispanic women can largely be explained by lower rates of the most common subtype, called luminal A. A particularly aggressive subtype, triple-negative breast cancer, is twice as common in black women as in whites. The widest differences in breast cancer mortality between whites and blacks are in Mississippi, Louisiana, Wisconsin and New Mexico. The narrowest gaps are in Connecticut, Massachusetts, Delaware, Iowa and Minnesota. “These racial disparities are not inevitable,” said Carol E. DeSantis, director of breast and gynecological cancer surveillance at the American Cancer Society. “Access to care, economic status, getting high quality treatment early and beginning and completing chemotherapy are all factors,” Ms. DeSantis said. 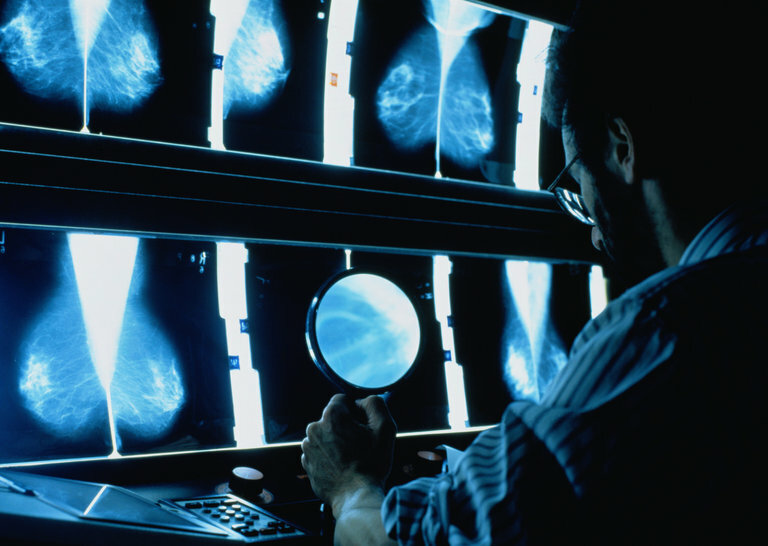 In the 1980s and 1990s, breast cancer rates rose. Scientists believe that the increases may be explained by the growing trend toward delayed childbearing and having fewer children, both known risk factors for breast cancer. At the same time, the wider use of mammography led to earlier diagnosis, which also contributed to the higher incidence numbers. Rates increased more slowly through the 1990s. There was a decrease in rates in 2002 and 2003, primarily in white women; reduced use of menopausal hormone therapy in those years may be part of the explanation. Death rates from breast cancer have declined 39 percent from 1989 through 2015. About 322,600 breast cancer deaths have been averted, largely the result of earlier diagnosis and new treatments.